Nay, I will. That’s flat! Forbad my tongue to speak of Mortimer. The society, in the person of Eugene Schieffelin, released some 60 starlings (or starling pairs — Internet sources seem to disagree on the number) into Central Park in 1890 and '91, and by 1950 the starlings could be found from the Atlantic to the Pacific, all across the continent. 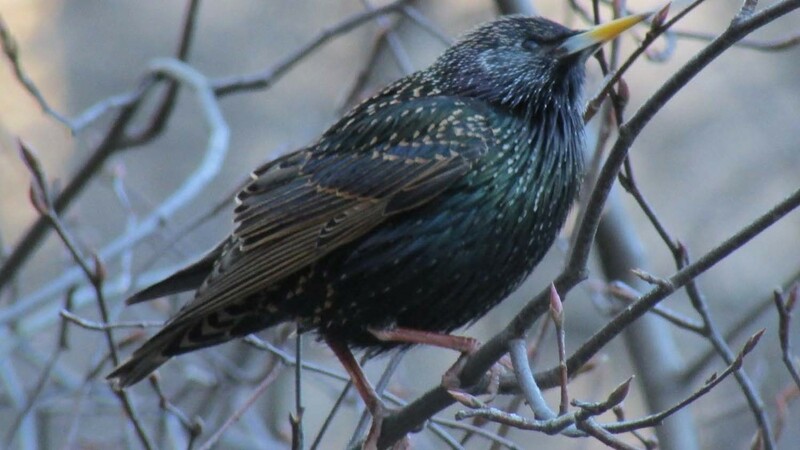 So now Mr. Schieffelin is blamed for introducing Sturnus vulgaris into North America and therefore loosing what many now consider a nuisance bird across the country, 200 million strong. When I first heard that starlings were an introduced species, I was told a tale that the birds had been brought over to be part of a theater production, and after the show closed, the birds were released in the park. I liked that story better, but now have to accept that most sources hold Mr. Schieffelin responsible. So when many people think of starlings, they think of pest birds. But as I hope you'll see in this video, starlings are very often beautiful. They have personality, and watching the flocks fly can be so exciting. 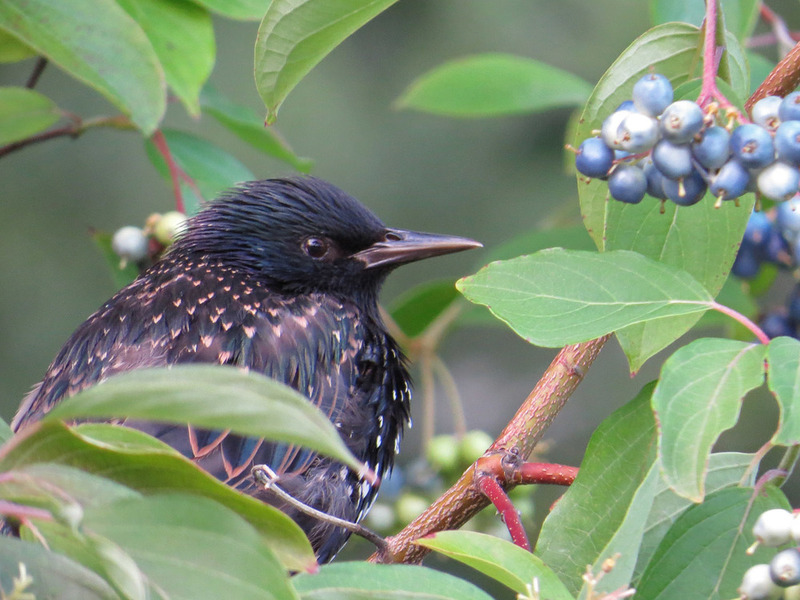 Perhaps seeing this one starling, as I did on August 2 at Turtle Pond in Central Park, next to the berries the bird proceeded to chow down, will help you appreciate the beauty of this common bird. 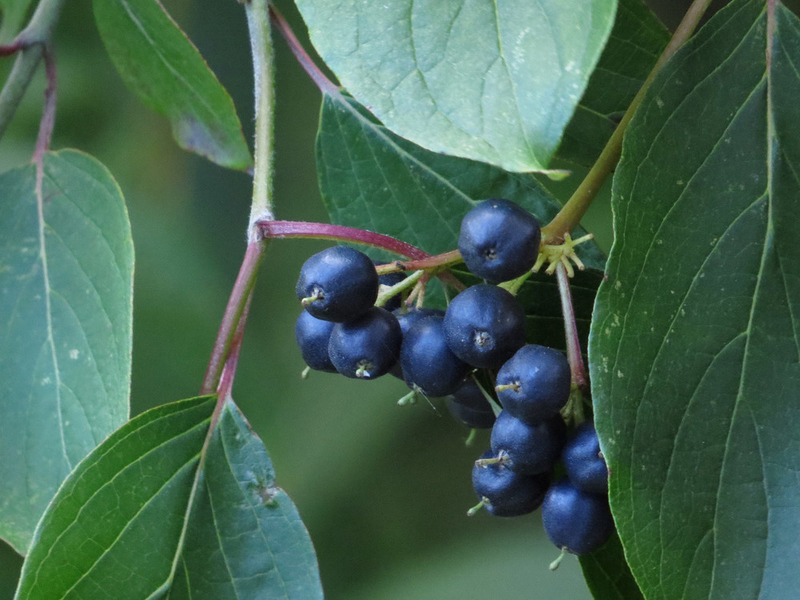 A Starling Among the Berries is set to music by Chopin. I will note, though, two things I have observed about starlings: First, they really love to take baths, so much so that I opened my video Bird Bath with them. The joy they have in flapping in the water is contagious. Second, the young starlings, after they've fledged and are full sized and should be feeding themselves, follow their parents around and squawk at them for food, much like American teenagers do when they're quite capable of opening the refrigerator themselves!